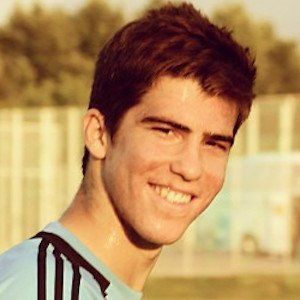 Professional goalkeeper best recognized for his many years as a member of Real Madrid, first on the B and C squads before making it to the first team in 2015. In 2010, he was seventeen when he joined Real Madrid's youth academy from his local Girona football club. Two years later, he made his senior debut. In 2013, he competed as a member of the Spanish under-20 national team. He was born Orlando Rubén Yáñez Alabart in Blanes, Spain. He celebrated his two year anniversary with Nuria Trens in February of 2016. He was promoted to Real Madrid's main squad in August 2015 by its new manager Rafael Benitez.